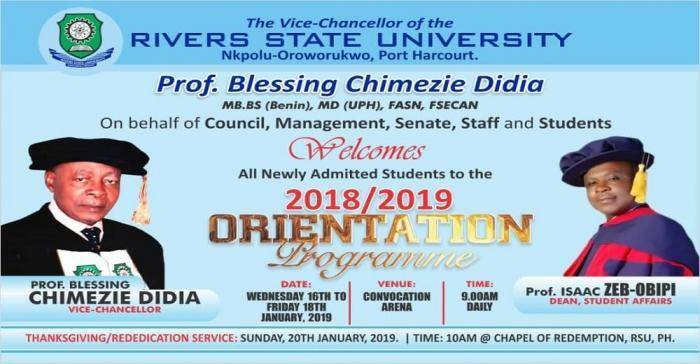 .The Rivers State University of Science and Technology, RSUST orientation exercise for newly admitted students in the 2018/2019 Academic Session has been announced. The Vice-Chancellor of the University, Prof. Blessing Chimezie Didia on behalf of council, management, Senate, Staff and Students welcomes all newly admitted students to the 2018/2019 Orientation programme.